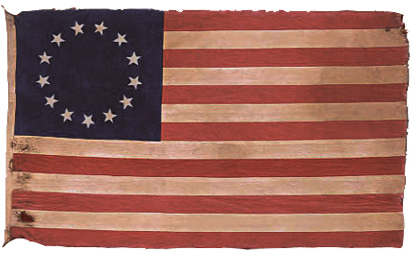 Many Germanna-related individuals served in some capacity as patriots during the Revolutionary War. Suzanne C. Matson is organizing the compilation of Revolutionary War veterans as she is well versed in the history of those who served in some capacity for the patriot cause owing to her substantial work with the Daughters of the American Revolution. Suzanne is insuring that all appropriate documentation is available for each veteran. 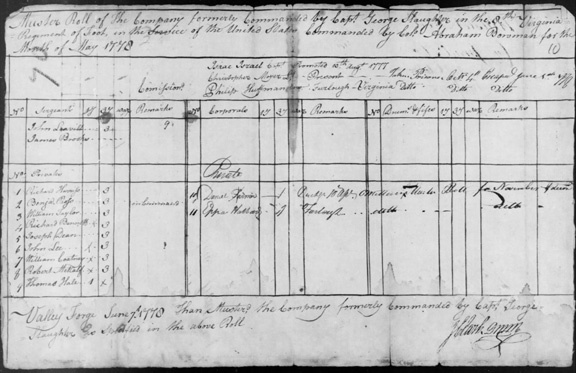 Below is a muster roll for the month of May 1778 of the company formerly commanded by Capt. George Slaughter in the 8th Virginia Regiment of Foot. Note the Germanna names of Philip Huffman, Christopher Moyer and Capt. Slaughter. Click on image below to enlarge. R1234 – Pension rejected. This does not mean this soldier did not serve. It may indicate he did not serve long enough to qualify for a pension or it may indicate that the last action in the file was a rejected pension, although there may be earlier pensions that were approved in that same file. Abercrombie and Slatten – Abercrombie, Janice L. and Slatten, Richard, comp. Virginia Revolutionary “Publick” Claims. 3vols. Athens, GA: Iberian Publishing Co, 1992. Transcriptions of court booklets from 69 of the 75 counties then in existence including most of the “burnt counties” in existence at the time. Also references Abercrombie, Janice L. and Slatten, Richard, comp. Index to the Virginia Revolutionary “Publick” Claims County Booklets. Athens, GA: Iberian Publishing Co., 1992. Aud. Accts – Virginia Auditor of Public Accounts (1776-1928), certificates 1780-1783, state pensions, records, 1777-1787. Blankenbaker – Blankenbaker, John. The Culpeper Classes: A List of the Classes in Culpeper County for January 1781 for Recruiting this State’s Quota of Troops to serve in the Continental Army. Chadds Ford, PA, 1999. CSR – Compiled Service Record or Compiled Military Service Record, NARA. Eckenrode – Eckenrode, Hamilton J. Virginia Soldiers in the American Revolution. Richmond, VA: Virginia State Library and Archives, 1989, 2 volumes. Exec. Dept. – Executive Department Office of the Governor, Commonwealth of Virginia, RG #3, titled Land Bounty Warrants. Gwathmey – Gwathmey, John H. Historical Register of Virginians in the Revolution: Soldiers, Sailors, Marines, 1775-1783. Richmond, VA: Dietz Press, 1938. Harding – Harding, Margery Heberlin. George Rogers Clark and His Men: Military Records, 1778-1784. Frankfort: Kentucky Historical Society, 1981. NSDAR – National Society Daughters of the American Revolution database. Sources need independent verification. NSSAR – National Society, Sons of the American Revolution database. Sources need independent verification. RWR – Revolutionary War Rolls, NARA. 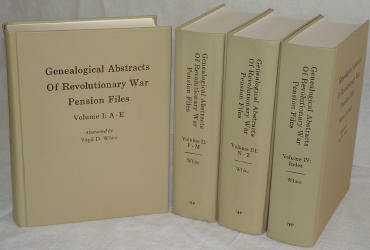 Important details can be extracted from Revolutionary War pension records. To get more out of such records, refer to the helpful timeline below. 26 August 1776 - The first pension legislation for the American colonies acting as a group was enacted and provided half pay for officers and enlisted men who were disabled in the service of the United States and who were incapable of earning a living. 15 May 1778 - A resolution provided half pay for 7 years after the conclusion of the war to all military officers who remained in the Continental service through the end of the war. Enlisted men were to receive an $80 gratuity after the war. 24 August 1780 - A Continental Congress resolution offered half pay for 7 years to widows and orphans of officers who met the requirements of 15 May 1778. Note: Widows and orphans had until 1794 to file for a pension under the resolution of 24 August 1780. After that date, a widow would need a private act of Congress introduced on her behalf to receive a pension. See the Act of 4 July 1836 for further information. 21 October 1780 - The 15 May 1778 resolution was amended to provide half pay for life to officers after the war. 22 March 1783 - The 21 October 1780 resolution was changed from half pay for life to 5 years' full pay. 29 September 1789 - The First Congress of the United States passed an act that provided for the invalid pensions, previously paid by the individual states, should be continued and paid by the Federal Government for 1 year. In subsequent years, legislation extended the time limit. 23 March 1792 - This act permitted veterans who were not already receiving invalid pensions to apply to the Federal Government directly. 10 April 1806 - The invalid pension laws were extended to include veterans of State troops and militia service eligible for Federal pensions. This act superseded all previous Revolutionary War invalid pension legislation. Note: Prior to 1818 national pension laws concerning veterans of the Revolutionary War (exception 15 May 1778 resolution) specified disability or death of the soldier or sailor as the basis for a pension. 18 March 1818 - The U. S. Congress granted pensions to Revolutionary War veterans for service rendered without injury. The officers and enlisted men were eligible under this Act if they had served in a Continental unit or in the U. S. naval service for 9 months or until the end of the war. These pensions were granted for life. Note: The above pension act resulted in huge numbers of applications being filed and approved with the resulting financial strain on the U. S. government. 1 May 1820 - A new law required everyone receiving a pension under the 1818 Act, as well as new applicants, to submit a certified schedule of his estate and income to the Secretary of War. The Secretary of War had the authority to remove anyone from the pension list who, in his opinion, was not in need of assistance. 1 May 1823 - An act was passed to restore the pensions to many of those whose names had been removed as a result of the 1 May 1820 legislation. 15 May 1828 - The act passed granted full pay for life to surviving officers and enlisted men of the Revolutionary War who were eligible for benefits under the 15 May 1778 resolution, as amended. Applicants did not have to demonstrate need. 7 June 1832 - This act extended the 15 May 1828 provisions to more people. Every officer or enlisted man, including those who served in the naval service and the marines, who had served at least 2 years in the Continental Line or States troops, volunteer or militia, was eligible for a pension at full pay for life. For those who had served less than 2 years but at least 6 months were eligible for pensions at less than full pay. Money due the pensioner from last payment until the date of his death could be collected by the widow or children. Applicants did not have to prove need. 4 July 1836 - Some widows of Revolutionary War veterans were again permitted, as a class under public law, to apply for pensions. This act provided that the widow of any veteran who had performed service as specified in the 7 June 1832 Act was eligible to receive the pension that might have been allowed to the veteran under the terms of that act, if the widow had married the veteran before the expiration of his last term of service. 7 July 1838 - This act granted 5-year pensions to widows whose marriages had taken place before 1 January 1794. 3 March 1843, 17 June 1844, and 2 February 1848 - These acts continued the pensions granted under the act passed 7 July 1838. 29 July 1848 - Congress provided life pensions for widows of veterans who married before 2 January 1800. 3 February 1853 and 28 February 1855 - All restrictions pertaining to marriage were removed. 9 March 1878 - Widows of Revolutionary War soldiers who served as few as 14 days, or served in any engagement, were declared eligible for life pensions. Revising the list of Germanna Revolutionary War patriots is an ongoing undertaking, thus, more names are expected to be added. Your assistance would be greatly appreciated. Carpenter, George – Soldier, VA, 1st Virginia State Regiment, Land voucher, Exe. Dept. Crim, Joseph – Private, VA, militia, Aud. Accts. Delph, Daniel – Soldier, VA, 1st Virginia State Regiment, Land voucher, Exe. Dept. Fishback, Jacob – Private, Wagoneer, VA, State Militia, Exec. Dept. 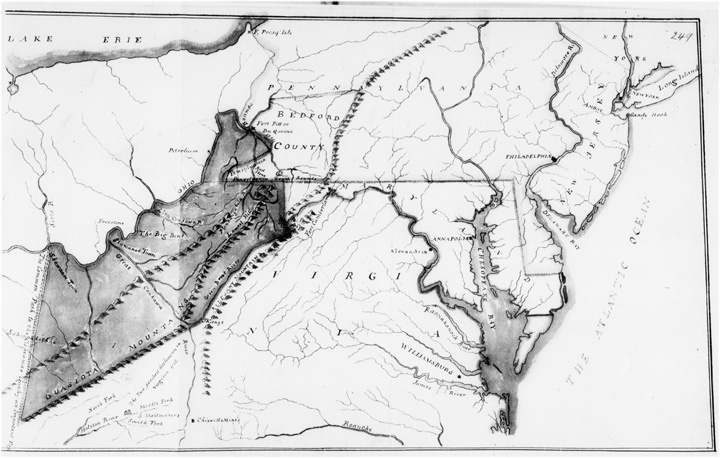 Below are two images from a map which represents an area with a very interesting Germanna story. John Back, a Germanna descendant, the grandson of Harman Back who arrived in 1738 and settled in the Little Fork and purchased 100 acres from Jacob Holtzclaw, boasts a most fascinating Revolutionary War experience. John Back was born in Culpeper County, Virginia in 1760 and enlisted in the Army of the United States for twelve months in March 1778 as a private. John Back traveled with George Rogers Clark as part of the group of soldiers sent by Virginia governor Patrick Henry to attack the British at what is now Kaskaskia, Illinois. 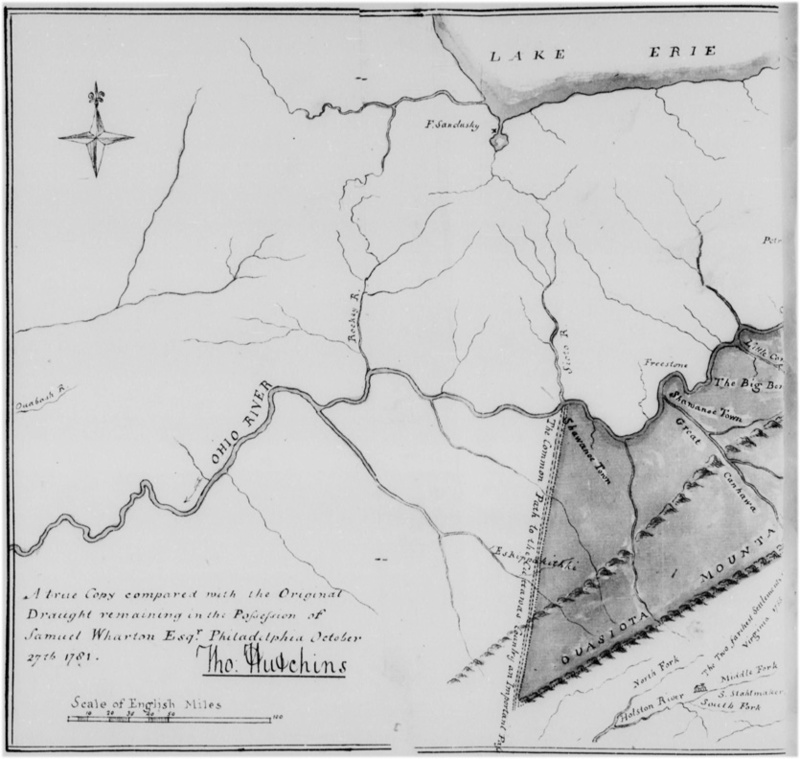 In July 1778, Clark and his men captured Kaskaskia and later marched back to Virginia in 1779 where they delivered their captives to then governor Thomas Jefferson. John Back’s experiences with George Rogers Clark, in what was deemed a great victory for Virginia and the patriot cause, is just one example of a Germanna descendant actively participating in the Revolutionary War. In his pension application affidavit Back describes the end of his Kaskaskia experience thus: "I was now very unwell & almost naked and resolved to come home as soon as I was able." He stated he was gone altogether 2 years and 3 months. 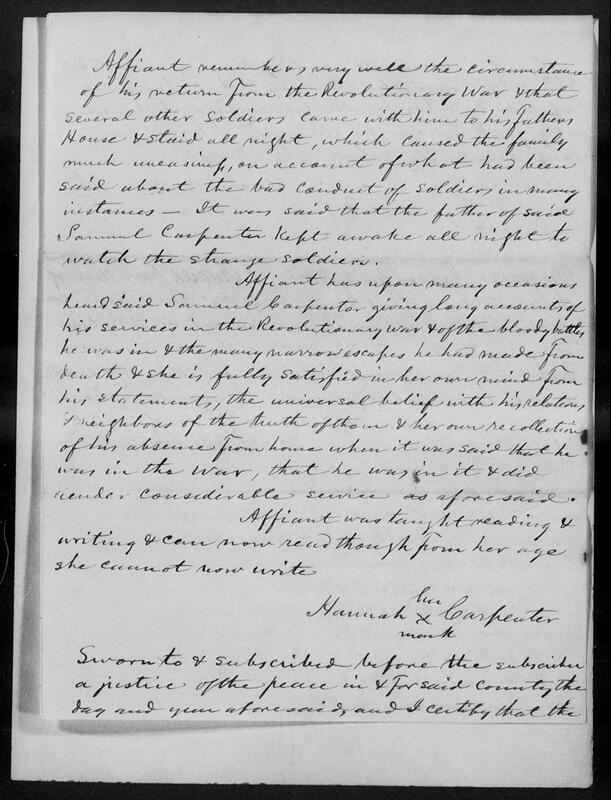 Below is an affidavit by Hannah Carpenter regarding the Revolutionary War service of Samuel Carpenter. Hannah Carpenter and Samuel Carpenter were first cousins, their fathers being brothers. Margaret "Peggy" Blankenbaker married Samuel Carpenter. Hannah Carpenter married Solomon Carpenter (so Hannah was Hannah Carpenter Carpenter). Hannah was swearing that Samuel's service was as stated.